The Oscar Pistorious trial was a media phenomenon. At times the physical frenzy was pure chaos, with thousands of competing reporters scrumming around every entrance and / or moving motor vehicle for that unique angle. From the relationship between the accused and his vomit bucket through to in-depth legal analyses that turned the world into self-declared legal experts, no thematic, fiscal or operational expense was spared. 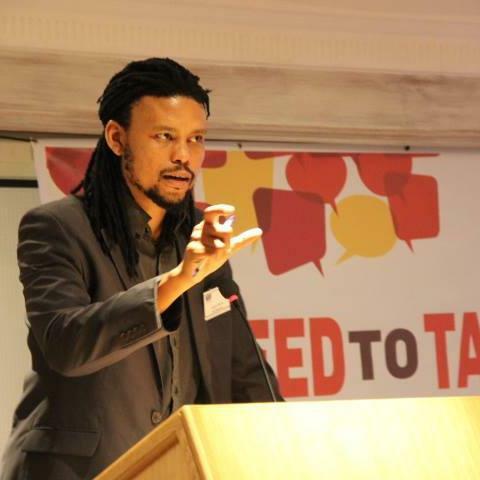 Gushwell Brooks - a South African radio talk show host, journalist and communications representative for the Jesuit Refugee Service - was in the thick of it, as one of two hosts of the popular Oscar Extra online reporting channel. Oscar Extra was set up by South African media group Primedia, and was extensively utilised by members of the public and the media as a source of information and opinion. Previously an emerging figure on the local media landscape, Brooks received a shot of career steroids through his role in the trial - and he was not alone. The Oscar madness did wonders for many careers, most notably for the writers / journalists with enough opportunistic nous to get their Oscar books onto the shelves as the verdict was announced. Brooks took time out at the end of 2015 to chat to South African writer and poet, Andrew Miller, about the weirdness of being a journalist in the middle of the storm, and about the slippery morality of building a media career in the age of social media.